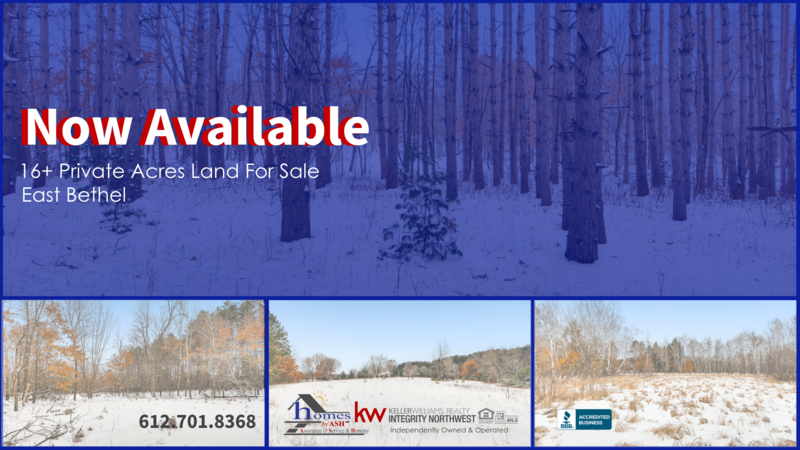 Over 16 acres of private pristine land to build your dream home on. Surveyed and platted, this nicely wooded and sloped land would be great to build a walkout rambler or two-story home with the right builder. If you don’t have builder in mind, the Homes by Ash Real Estate Team can help recommend some for you based on your goals and budgets. Or, visit https://loom.ly/_FT5SdU for more information.